Our Cream Pitcher holds at least 8 ounces. Each is about 4 inches high and about 3 inches across at their widest. Sizes do vary in hand made containers. 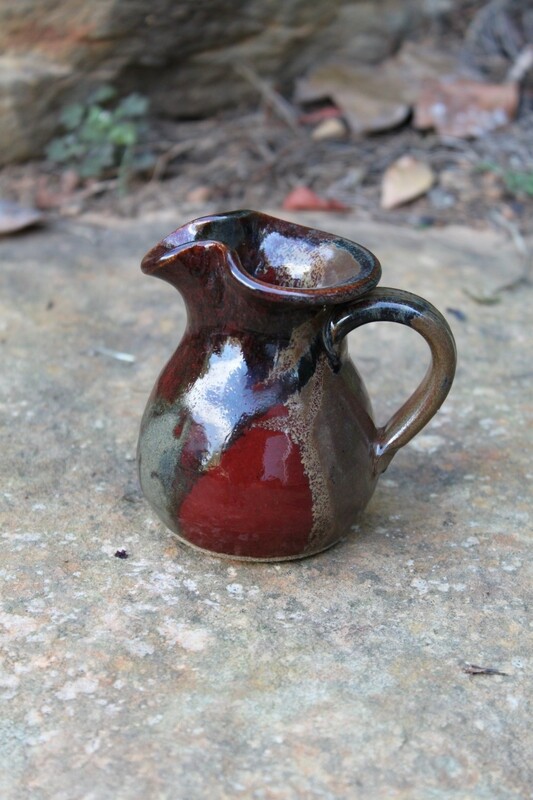 The pitchers are crafted from our high quality stoneware clay body and is high fired in durable glaze. Our beautiful glazes are all food safe, dishwasher safe and are wonderfully nonporous. The Miracle Pottery Cream Pitcher is an attractive addition is any counter top. It makes it easy to take in that healthy spoonful before you head out the door to start your day or handy on your breakfast table.